Deciding where to study abroad is not easy. Ideally, your choice has to fulfill a wide range of criteria for you as a student: Is it possible to take classes which I find relevant for my studies? Is the academic standard at a high enough level to challenge me intellectually? Will I be able to enjoy myself outside my studies? Fear not! 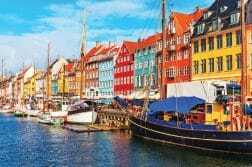 Denmark might just be the place for you! 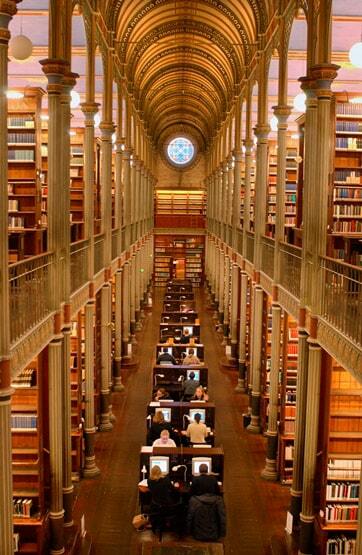 Denmark has a strong tradition for providing excellent education. Copenhagen University was recently ranked as the second best university in Europe by the Academic Ranking of World Universities, and Copenhagen Business School is ranked 10th best business school in the world by the latest QS World University Ranking from 2015. 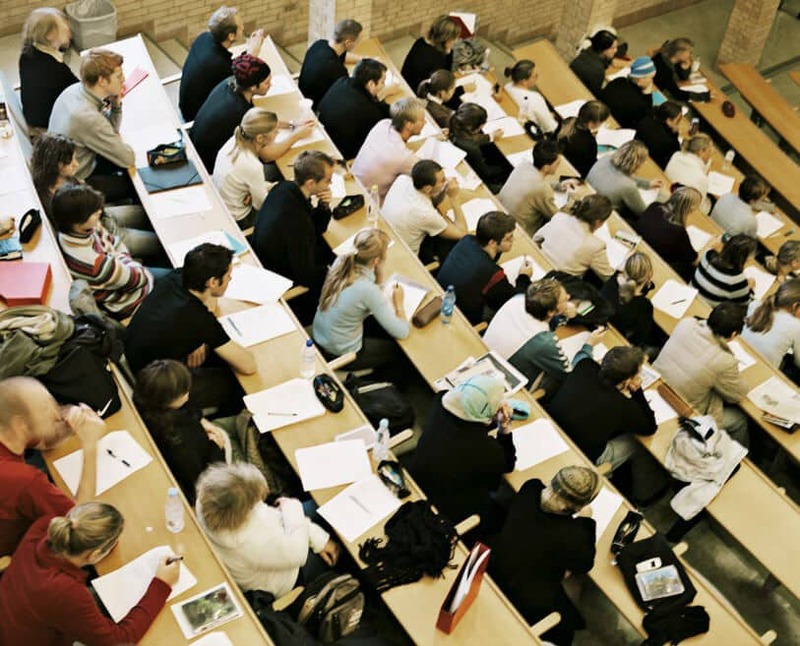 What makes Danish universities different? They have a unique focus on challenging students to apply critical thinking and to produce creative and innovative solutions. Strong partnerships between Danish universities, public research institutions, and businesses guarantee that courses are aligned with the demands of a global labour market. The educational institutions also have a strong international focus making it easier for foreigners to engage in student activities. This means that more than 700 degree programmes and 1,300 courses are taught entirely in English! The country is surrounded by water, which means you will never be more than 50 kilometres away from the sea. A beautiful combination of modern architecture, historical buildings, and public parks makes Danish cities very liveable. 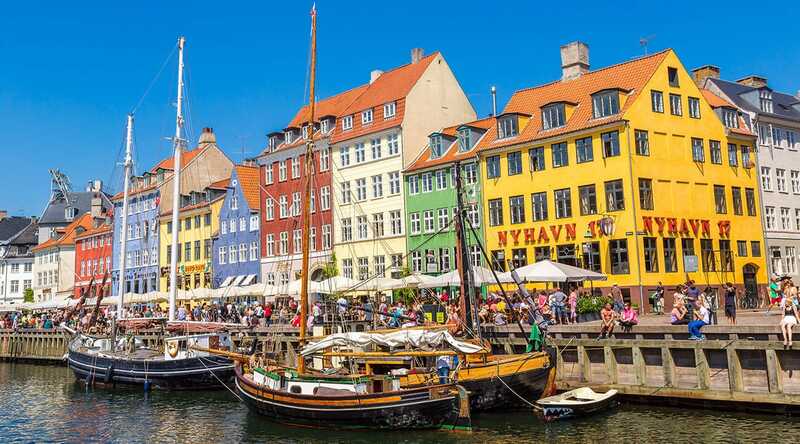 You will find that Danes like to go out often to meet friends for a drink or a bite to eat and that Danes generally have a relaxed attitude to life. 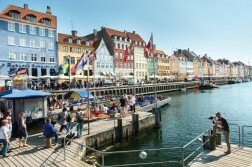 Surveys have even ranked Danes as the happiest people in the world! Denmark is well connected to other major European attractions. Cities like London, Berlin and Paris are all just a few hours flight away. Find us at the Study and Go Abroad Fairs! Do you want to know more about studying in Denmark? 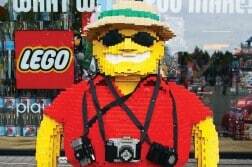 Then meet us at the Study and Go Abroad fairs in Ottawa September 29 or in Toronto October 1-2. Otherwise, make sure to check out the websites Study in Denmark and Visit Denmark for more information.